Look at those cute little star sandwiches - PB&J style. 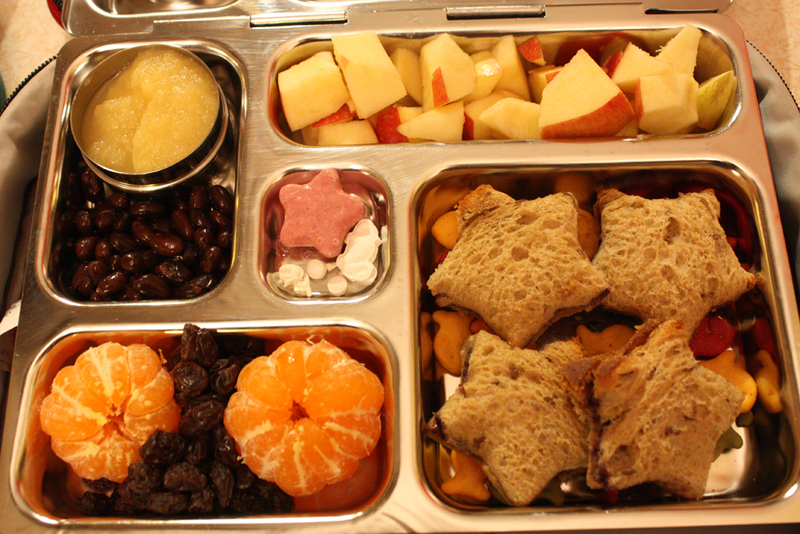 Two juicy clementines, a handful of Sunmaid Raisins, Rainbow Goldfish, a small pile of Black Beans, a dollop of Applesauce, and some diced apples to fill a little belly with a big appetite today. Oh and don't forget about that vitamin pile and the strawberry frosted cookie. Yummy!